including REAL L-Tryptophan (not 5HTP)! NOTE: Montiff amino acids are USP Pharmaceutical grade, crystalline singular L-form amino acids that require absolutely NO digestion. 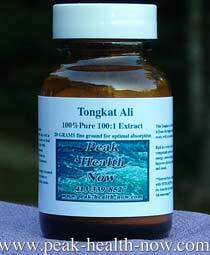 They are easily absorbed with absolutely NO effort by the body - so even people with very compromised digestive capacity will benefit. All Montiff amino acids are HYPOALLERGENIC! They are so pure that they contain NO food protein fragments or animal by-products which can cause allergic reactions in sensitive individuals. These forms of amino acids are also entirely acceptable to vegetarians. 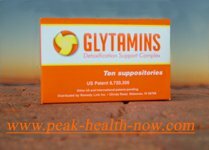 745 mg total proprietary blend per capsule: L-LysineHCI, L-Alanine, L-Leucine, L-Isoleucine, L-Tryptophan, L-Threonine, L-Glutamine, L-Arginine, L-Methionine, L-Histidine, L-Tyrosine, L-Valine, L-Aspartic Acid, L-Cystine, L-Phenylalanine, Glycine, L-Glutamic Acid, L-Serine, Taurine. 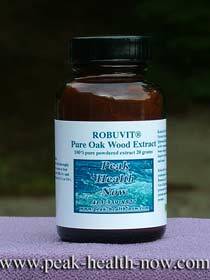 Free of Starch, Corn, Milk, Wheat, Yeast, Sugar, Eggs, Salt, Artificial Colors, Binders, Flavors, Preservatives or Fish derivatives. Free of animal, milk or soy products. Capsule: gelatin and minute amount of Microcrystalline cellulose and magnesium stearate. Periods of ILLNESS, INJURY AND STRESS when additional amino acids are required by the body for tissue and cell growth and repair. Helping to stimulate the immune system. Assisting in reversing negative nitrogen balance. Prior to and after surgical procedures. Providing a balanced nutritional program, especially for restricted food programs including food allergies. 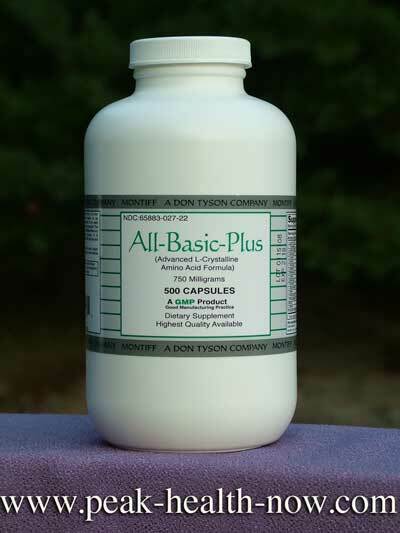 All-Basic Plus: Montiff's full-spectrum Amino Acid formula with L-Tryptophan. This formula should be part of most any supplement protocol. Suggested dosage: 3 caps 2x/day with Montiff Tri-Phos B. Take on empty stomach with a glass of water/fruit juice mixture. ...you HAVE TO balance Amino Acids supplements with the B-Vitamins that will help you absorb them properly! Below are the two products I personally take every day along with All-Basic Plus. 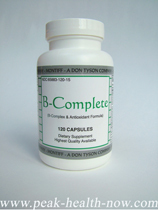 Tri-Phos B: The most bioavailable, active coenzymatic forms of Vitamins B-1, B-2 and B-6. Tri-Phos B is the perfect accompaniment to all the Amino Acids. Take with glass of water/fruit juice on an empty stomach 30 min before a meal. *Complete product info: Please click on graphic. 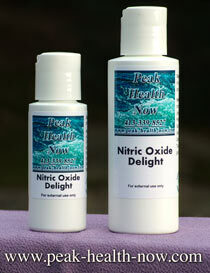 ...vital for proper absorption of Amino Acids and to balance them in your supplement protocol. It is taken with meals 2 - 3 x per day.